A Radio Media Tour helps organizations and brands connect with broadcast audiences around the country to educate and inform. RMTs can be booked to react to breaking news, share information about the latest campaign, or advocate for a cause. Regardless of the topic, a radio media tour has the unique ability to target listeners on both a hyper-local level and large national scale. The spokesperson for the Radio Media Tour is typically an organization leader or subject matter expert. And before they hit the airwaves, there are certain things to keep in mind to ensure a successful RMT. What is an RMT? : Explaining the concept of a radio media tour to the spokesperson is a key first step so they understand what they are about to embark on. A radio media tour is a series of back-to-back interviews that take place in a three-to-four hour span. A RMT generally consists of ten-to-fifteen back-to-back interviews with radio stations ranging in genres from NewsTalk to public radio and Adult Contemporary. And, unless indicated otherwise, the radio interviews booked will be about five to ten minutes long with one reporter or host. Live vs. Taped: There are three types of interviews you’ll encounter during a radio media tour—live, live-to-tape, or taped. Live interviews are just that, live over the air and streamed in real-time. 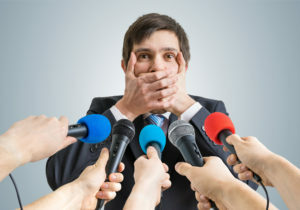 If an interview is taped, then the reporter will be looking for soundbites they will then package for a story to be aired at a later point. And if the interview is live-to-tape, it means it will be conducted as if it is a live interview, and played back in its entirety at a later time. Use a landline or VOIP: This is radio, which means crisp, clear audio is a must. The sound quality of a landline/VOIP is better and more reliable than any other alternative including cell phones. In order for the producer to be able to use your interview, it’s best to provide them with the clearest line available. And above all, avoid speakerphones! You’re the expert: The interviewer is interested in hearing what your representative has to say – whether it is a legislative call to action or a consumer awareness campaign – your organization spokesperson is the expert in this situation. Localize the story: If possible, find a local angle to localize the story as it will perk the ears of the producer or listening audience. If there’s a stat pertaining to the city or state where the radio interview is taking place, or even a local event that is taking place there, make sure it’s mentioned in the interview. Drink water: A Radio Media Tour can be long, so keeping hydrated is key to sounding fresh and coming through loud and clear during the interview. Having water nearby helps the spokesperson maintain their energy level while staying hydrated. Smile, stand-up, use your hands: Even though the radio listening audience can’t see you, it’s easy to sense the mood of the spokesperson. There’s no way around it: a disengaged spokesperson means a disengaged listening audience. To help convey authenticity and energy over the air, spokespeople can stand-up while speaking, talk with their hands (if on a headset), and perhaps most importantly—SMILE while speaking! Avoid mentioning reporter’s name: When conducting taped interviews, avoid saying the host’s name. The reporter is recording the interview so they can package it up to play as a produced story. In other words, they’re going to be looking for soundbites in your conversation. If mentioning their name, it will be harder to edit out and include in the final story. Don’t Hang Up! While participating in a RMT, a conference service will be used to connect to each radio station. After each interview, don’t hang up! The station will be disconnected while the RMT producer and the spokesperson stay on the line. The conference operator will then connect and announce the next station on the schedule to begin the next interview. Give feedback: Following the radio media tour, provide your spokesperson with a few quick pieces of feedback. Keep it positive—there is time down the road for further media training if needed. Listen to the interviews: We provide airchecks after all of our radio media tours, and these can be used as a media training device or learning tool. Listen to the interviews to develop a list of things your spokesperson did well, and what need works. Conducting 15 or 20 interview in a row and speaking to cities all across the country can be quite the undertaking, but with a prepared spokesperson (and the right radio media tour firm guiding the way), you will be primed for success.